Your reservation with Grace Tyson Real estate, Inc is for a particular unit/condominium. Please review the arrival and departure dates and information about the property carefully. Grace Tyson Real Estate, Inc. is located at 514 LeMoyne Dr. It is on Indian Bay, about 1/2 mile after the Dauphin Island Bridge on the left or East side of LeMoyne Drive, on the service road . Our office is open 9:00am to 5:00pm 5 days a week Spring/Summer/Fall and 9:00am to 4:00pm 5 days a week Winter to serve your needs. Our phones are answered 24 hours 7 days a week. You will come to the office to pick up rental keys and directions to rental property. In the event that you will be arriving after hours, please contact our office so we will be able to give you instructions on checking in. We rent accommodations on a 3 night, weekly, and 30 night basis. During the Summer Season, holiday seasons and events we require a three-night minimum stay, and in some cases, a seven-night minimum stay is required. Fifty percent (50%) of base rental amount is required at time of reservation plus a non-refundable reservation fee of $40.00. We strongly recommend the optional Travel Insurance included in your quotation for consideration, also due at time of reservation. A valid credit card will be required for online or phone reservations. A tentative reservation can be placed without prepaid rent to place the property on hold for up to 5 days but will not be binding unless 50% of advance rent plus reservation fee is received within 5 business days of placement. A Tentative Reservation will also be void if another Reservation comes in for the same time frame and property having immediate rental monies. A valid credit card number is required so that the Owner can reasonably recover cost of damages incurred accidentally or willfully by Guest(s) if not covered by the damage waiver. Please read information regarding damage waiver in detail -this is separate from the Travel Insurance plan. Payment of a reservation may be paid by personal check, money order, cashier`s check, VISA or MasterCard. Checks should be made payable to Grace Tyson Real Estate, Inc. The remaining rent balance (50%) is required to be paid 30 days prior to arrival. No checks will be accepted for balance due on arrival unless received two weeks prior to arrival date. Any check returned by the bank for whatever reason will be charged a $50.00 statutory fee and possible cancellation of Reservation and all rights and privileges hereunder. Late check-outs are not permitted during peak season. During off-season, late checkouts may be considered but must be approved in advance. All reservations are subject to a review and acceptance by Grace Tyson Real Estate, Inc. within 72 hours of booking. All rental rates are subject to change without notice. Payment of a reservation may be paid by personal check, money order, cashier's check, VISA or MasterCard. Checks should be made payable to Grace Tyson Real Estate, Inc. Any check returned by the bank for whatever reason will be charged a $40.00 statutory fee and possible cancellation of Reservation and all rights and privileges hereunder. We recommend the optional Travel Insurance offered to help cover unexpected events that may result in cancellation. If you choose to decline the Travel Insurance offered, there will be no monies refunded unless the property is re-rented at no financial loss to the homeowner and to Grace Tyson Real Estate, Inc, or you are outside the minimum notice time frames shown below. If that occurs a $40.00 cancellation fee will be charged. We will do our best to re-rent your reserved accommodation for the same rate and time period but cannot guarantee in any way that a replacement can or will be found. If you have to cancel your reservation you must cancel at least 30 days prior to check-in. Your deposit and rental money will be returned to you minus a $40.00 cancellation fee within 30 days of your cancellation notice. If you cancel less than 30 days prior to check-in, your rental money will be retained unless the property can be rented to someone else. A cancellation fee will be charged and the balance will be returned within 30 days of your cancellation notice. All cancellations must be received in writing, by fax, or by Email, at which time the property will be placed as available on our online reservations system. If there is a named stormed in which Dauphin Island is in its path, and there is a mandatory evacuation your rent will be prorated and the balance of your money (minus the reservation fee) will be refunded to you within 90 days. YOU MUST EMPTY YOUR REFRIGERATOR PRIOR TO LEAVING. There will be a $400.00 charge if you fail to do so. Cancellations, reservation date and property changes occurring less than the stated minimum days required will result in possible forfeiture of Initial Reservation Payment, rent, taxes and fees unless optional Travel Insurance is in place. Make sure all windows and doors are locked and all lights are turned off. Renter Responsibilities:Many renters will vacation with other family members or friends. Although only one member of each rental party will sign the Rental Agreement (the lease), the Renter will be solely responsible for payment, deposits (including fees and taxes) and the condition of the property. Renters should read the Rental Agreement carefully before signing it. Our rental properties are privately owned and reflect the tastes of its owners; therefore, please do not rearrange the furniture. There is a $100.00 fee for moving furniture. Properties are furnished with linens, coffeemaker, television, dishwasher, ice maker or ice trays, microwave, pots and pans, utensils, glasses, coffee cups, plates, pillows & blankets, and washer/dryer. Condo Complexes with pools have specific rules and regulations. Grace Tyson Real Estate, Inc will not be held responsible for any amenities, which are closed for reasons out of our control such as maintenance or inoperable conditions. Use amenities at your own risk. Report all problems to Grace Tyson Real Estate, Inc. Shower before using the amenities; no glass containers allowed around pool area; no alcohol use or beverages consumed while in the pool. Unsanitary conditions resulting from guests requiring water replacement, shock treatment, etc... is at the guest`s expense for time to render amenity usable. Every effort is made to assure accurate descriptions with no misrepresentation intended. Substitutions and refunds will not be made upon arrival for any reason. Please bring any special pots and pans you can't do without, plus all beach towels required for your family's use. Also, bring paper products (toilet tissue, paper towels, etc.) grill, soaps, shampoo and food. Report all inoperative and/or missing equipment to Grace Tyson Real Estate, Inc immediately as service must be scheduled and may require ordering parts. Problems will be corrected as soon as humanly possible. Priority is given to air conditioners/heat, refrigeration, plumbing, water or electrical problems. To accomplish repairs, Agent or authorized employee, repairman and landlord will have right of entry. No refunds are issued for damage to Guest(s) belongings due to malfunctioning equipment/appliances, mechanical failures of appliances and electronics, interruption/loss of utilities (including cable), or inclement weather. If there is an impending hurricane, in which Dauphin Island is in its path, and expected land fall is within 2 days, guests are charged for the days spent on the island. Guest(s) are responsible for the safe security and return of unit keys. Guest will be charged a $150.00 re-keying fee for any lost key. Re-keying is for property security. Guests are allowed 2 keys per rental unit. There is a $25.00 fee for locking yourself out after business hours. A reasonable and orderly conduct in the leased residence with respect given to the terms of this lease, the property, the law and the neighbors will be maintained by all tenants. Guest is responsible for damages as outlined under Reservation & Damage Waiver. Guest agrees to indemnify and save Grace Tyson Real Estate, Inc, employees and home owners free and harmless from any liabilities for any loss or damage whatsoever arising from related to, or in connection with rental of the premises, including but not limited to any claim or liability for personal injury or damage or loss of property which is made, incurred or sustained by Guest or guests of Guest except only such personal injury caused by the negligent or intentional acts of the Owner or his Agent. Should any of the terms of this agreement be breached by tenant resulting in legal action on the part of Grace Tyson Real Estate, Inc against Guest(s) and Grace Tyson Real Estate, Inc prevails in court or a settlement is reached, Grace Tyson Real Estate, Inc shall be entitled to collect from Guest all costs or said legal action including, but not limited to, attorney`s fees. Grace Tyson Real Estate, Inc and all affiliates are not responsible for any personal property. The standard cleaning fee is non-refundable. Each reservation is charged a cleaning fee. This is for cleaning after your departure. The amount depends upon the number of people and size of the home. Prior to your departure, please take your left over food with you or throw it away ($50.00 fee if left for us to do). Any damages or cleaning in excess of amount paid will automatically be charged to your credit card. Our housekeeping staff works diligently to prepare each home in preparation for your arrival. For stays over seven nights, please inquire if you would like additional cleaning. Smoking is not allowed in any of our rental properties. Guest authorizes a $350.00 smoking fee being charged to your credit card immediately upon discovery of smoking in the property, PLUS entire cost to remedy smoke odor and/or other damage. You may smoke outside the rental. Place all cigarette butts in a container. Cleaning up cigarette butts from the ground will be an automatic charge of $50.00 to your credit card. Should the home confirmed by Guest become unavailable for any reason, including sale of property prior to check-in date, Grace Tyson Real Estate, Inc will inform the Guest when non-availability is absolutely certain. Every attempt to relocate Guest to a comparable home will be made. Guest is responsible to pay any rental amount on an acceptable substitute rental home that exceeds the original reservation amount. Check thoroughly for your belongings before departure. Grace Tyson real Estate, Inc IS NOT RESPONSIBLE for personal items left in the unit. We hold recovered items for 10 days only and return (only upon request) C.O.D. plus a $20.00 minimum fee. Unclaimed items will be donated to charity. Firearms/weapons cannot be returned by mail, we will release to local law enforcement for appropriate actions. The lease period begins at check-in, which is no sooner than 2:00 PM on arrival date and end no later than 10:00AM on departure date. Rentals are restricted to the specific number of occupants as described/advertised for each property. ALL RENTALS ARE TO FAMILY GROUPS AND RESPONSIBLE ADULTS ONLY. If you book over the phone or online please send a copy of your driver’s license to our office email at [email protected] or fax at (251) 861-5025. Grace Tyson Real Estate, Inc will not rent to anyone under 25 and leaseholder must be in occupancy of said unit during the entire lease period. Occasions such as Weddings, Receptions or "Parties" are not allowed by Grace Tyson Real Estate, Inc and Owner prior to the execution of a lease. If the rental unit is a condo and offers swimming pools, guest cannot invite additional guests to come and utilize the facilities during the Guest`s stay. Failure to fully disclose such occasions is cause for immediate cancellation of lease with forfeiture of all funds. Rental rate and deposit are subject to increase at owner and agent discretion. Grace Tyson Real Estate, Inc. reserves the right to deny occupancy, evict and refuse refund to anyone at any time that appears to be detrimental to the property or violates policies outlined herein. Any damages caused by Pets to the property and or household goods will be charged to tenant accordingly. The non-refundable pet fee is not a damage deposit, nor will the Damage Waiver Fee charged by Tyson Real Estate, Inc. apply to pet damages. Pet(s) in or on the premises of non-pet homes are a non-negotiable breach of lease with ground for immediate eviction without refund and without exception. Your visitors may not bring pets to the premises. We appreciate your interest in our vacation Rentals. 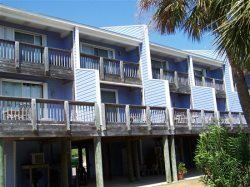 Our goal at Grace Tyson Real Estate, Inc is to offer you a wide variety of homes at affordable rates, and of course to make your stay at beautiful Dauphin Island and the Gulf Coast an enjoyable and memorable experience. We hope you come back and thank you in advance for your cooperation in complying with these rules. I understand and agree to follow the Terms and Conditions by Tyson Real Estate, Inc.